Muhammad Ali is perhaps the greatest heavyweight boxer of all time but he is more than that. He is also one of the most important figures of the turbulent 1960's and 70's. Remember that the 1960's was a volatile period in American history. Martin Luther King was assassinated for his stand on equality and his message of peace and tolerance. The Kennedy brothers were assassinated for their 'liberal' views on a number of topics such as war and east/west relations. Demonstrations against segregation and Vietnam led to violent protests as America battled with itself over these and other issues. This documentary covers Ali's life from his childhood and contains some brilliant footage of him at his best both in and out of the ring. The documentary features interviews with journalists, celebrities, commentators, friends, former foes and family about Ali, the times and his career. 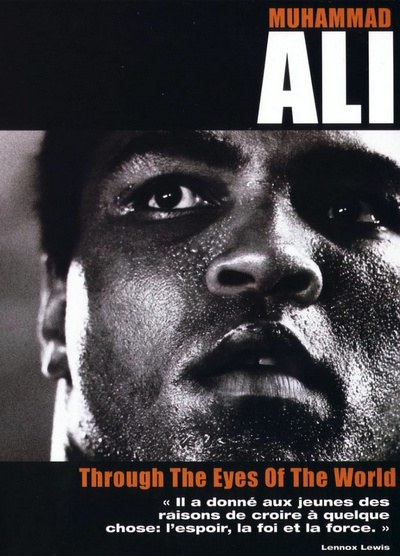 The historical footage is well used to place Ali in the context of the times in which many of the more sensational events in his life took place. When selected a map of the world is shown with icons that you can navigate to and select. Once an icon is selected a short video clip is played in which people from that country or region talk about Ali. Interviews are available here that were not included in the main documentary. They feature Billy Crystal, Rod Steiger, James Earl Jones, Hana Ali and Billy Connoly. A collection of 23 images that can be viewed as a slide show. The work shown is from artist Leroy Nieman. The music video 'Muhammad Ali' by Faithless can be viewed here. A list of each of Ali's fights. You can branch to footage of that particular fight if you so desire. A 2 odd minute promo of a center featuring Ali and his achievements designed to inspire others to succeed. The center is to be built in his home town of Louisville, Kentucky. A 2 minute featurette about a stage play on Ali's life. The main actor talks about the play and the night that Ali himself attended.